Namtso road condition update Namtso road condition-It was reported that the road to Namtso was temperately blocked due to the recent snowy weather. In order to protect the tourists, Namtso scenic area is temporary closed. Till Feb.11, the snow-covered road to Namtso has been fully cleared. 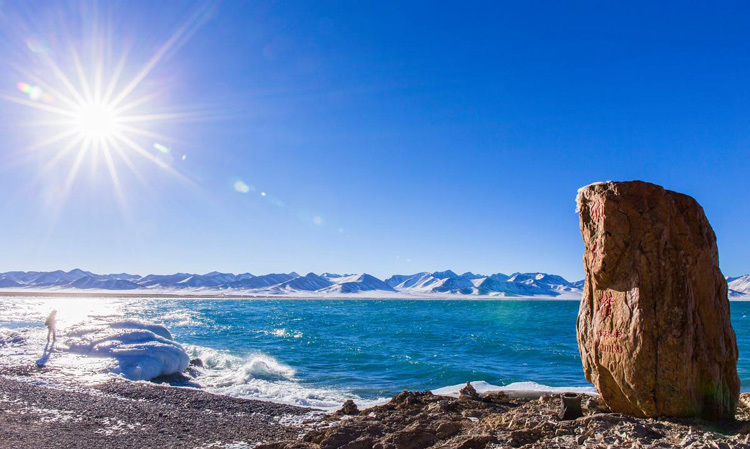 Thus travelers can continue to visit the Namtso Lake, but need to consult in advance. Because of the special geographical location of Namtso lake, the weather here is volatile, and the road often have a temporary closure. To alleviate the concerns of tourists, the staff at Namtso scenic management will observe the road condition seriously in the morning. If they find deep road snow, they will send snowplows to clear the snow and eliminate the hidden danger on the road. The staff at Namtso Scenic Area Management Office introduced that the scenic closure caused by heavy snow is temporary. The road that leads to Namtso is being cleaned up, so the behind cars are blocked. Tourists do not have worry about it, the scenic road will be restored as soon as possible. For further Tibet travel tips, please follow our Tibet Travel Blog. We'll update the latest travel news and tips every working day.